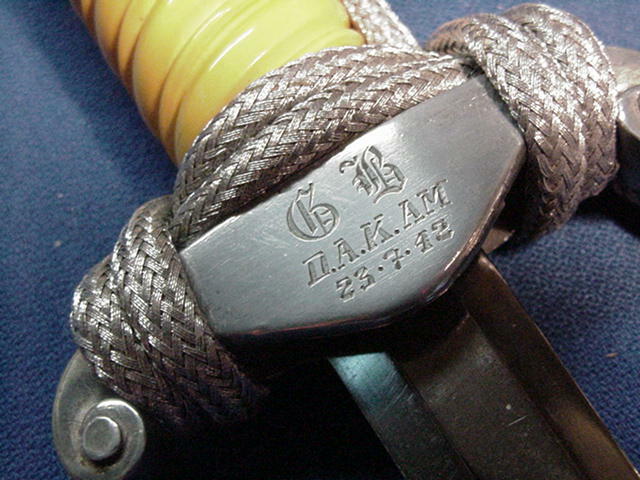 that there is a face beyond just a picture of the personal artifact that was once in their possession. 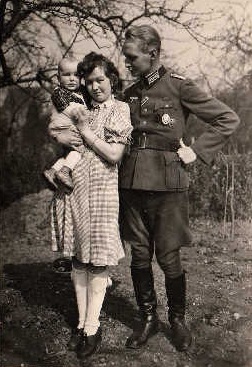 Ernst shown with his wife, Lilo and son. 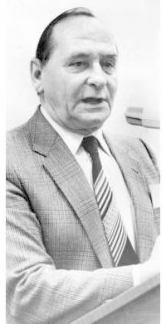 Ernst Eisenberg as he appeared when he was the Bürgermeister of Menden, Germany, during the period 1979 thru 1984. 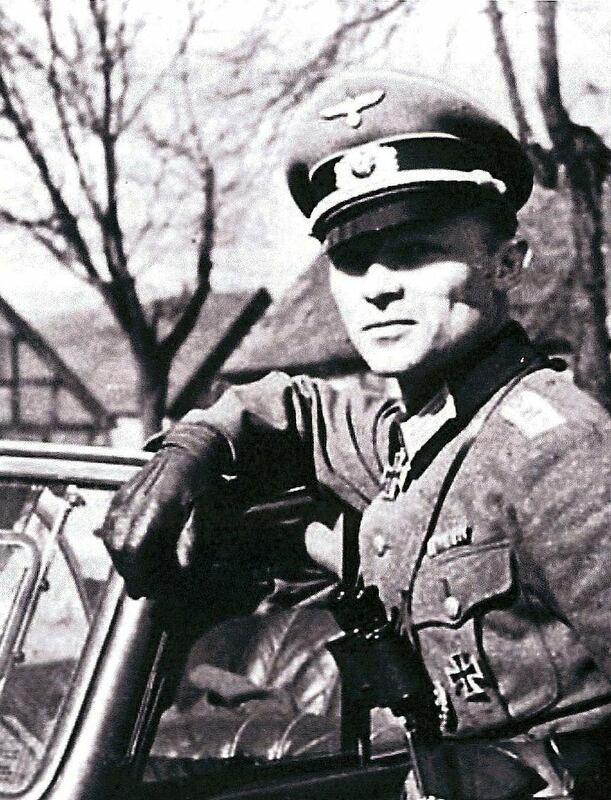 Ernst in His RAD uniform. 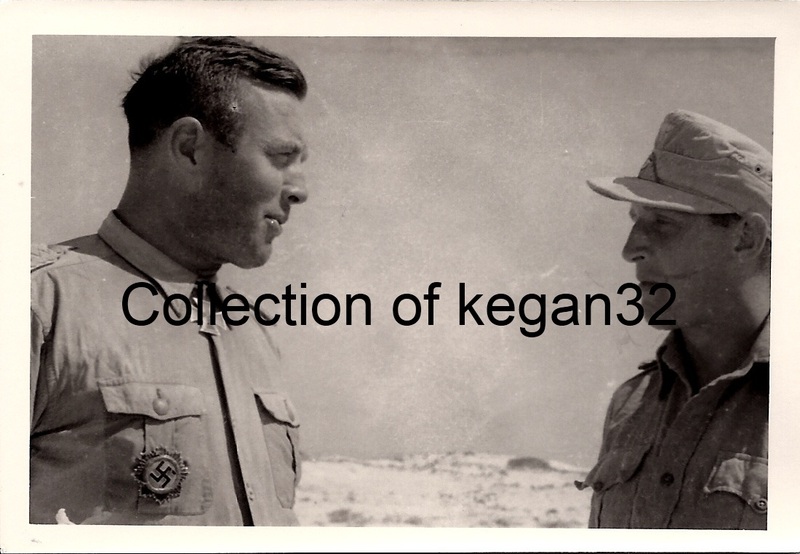 This picture probably came from his service records. 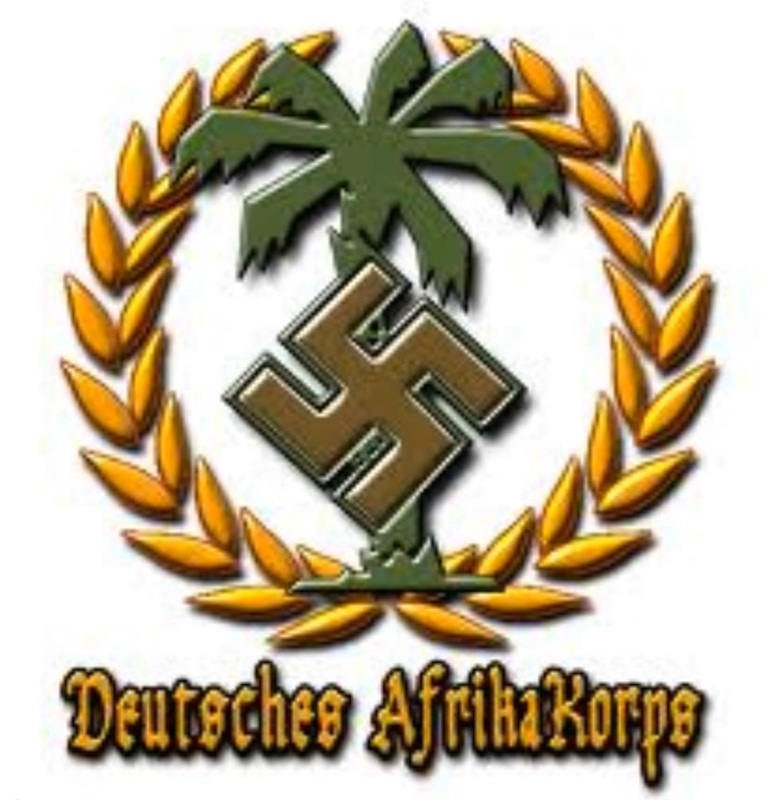 His rank insignia is that of a Obertruppführer. Ernst's Signature from a letter he sent to me in 1986. 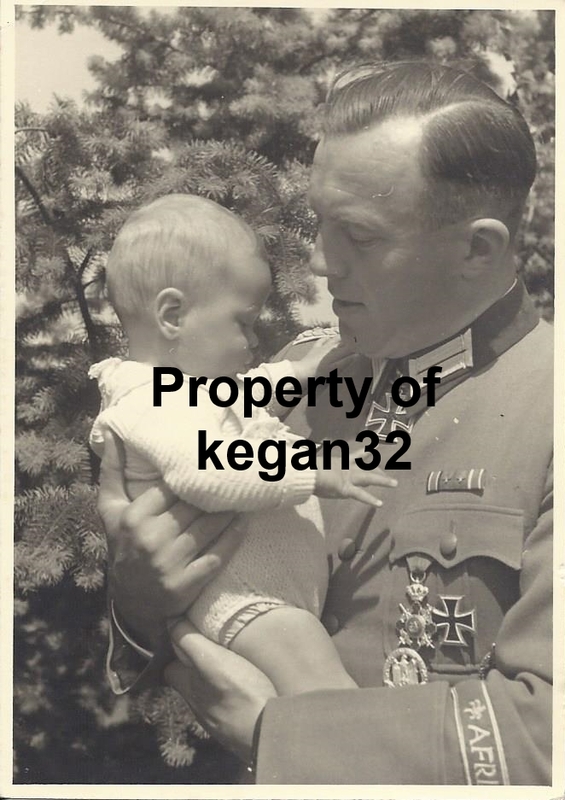 All photos shown are courtesy of Katrin Eisenberg Rombaut, his granddaughter who lives in Menden, Germany. 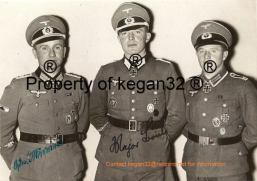 Briel shown with Hans Klarmann (L) and Erich Nürnberger (R), both of whom were later killed in action in Russia . 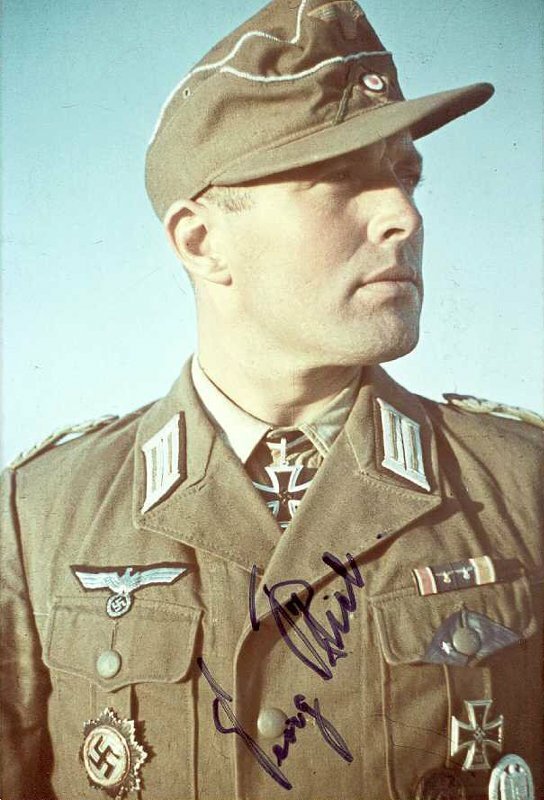 Oberstleutnant Georg Briel served in the Afrika Korps where he won his Knight's Cross. 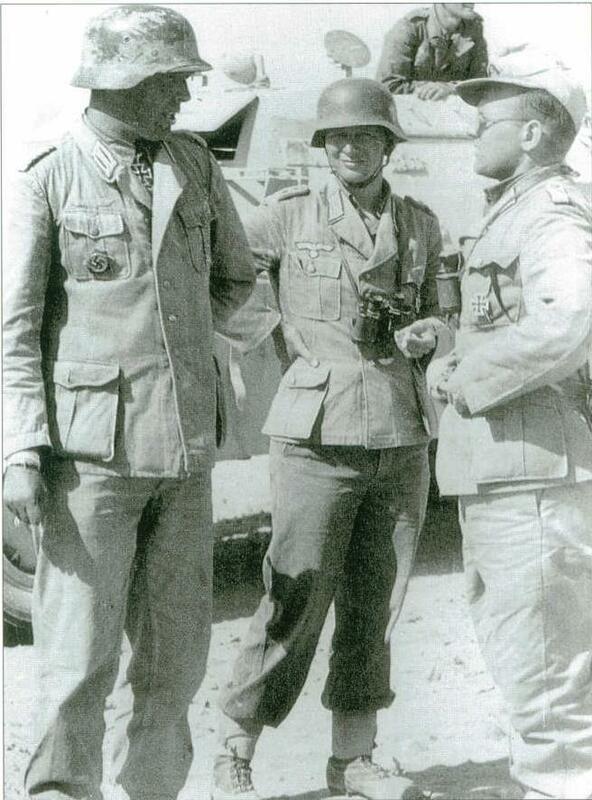 Walther (L) is seen here with Oberstlt Max Wandrey and Gen der Fliegler Helmuth Felmy, 9 January 1944. 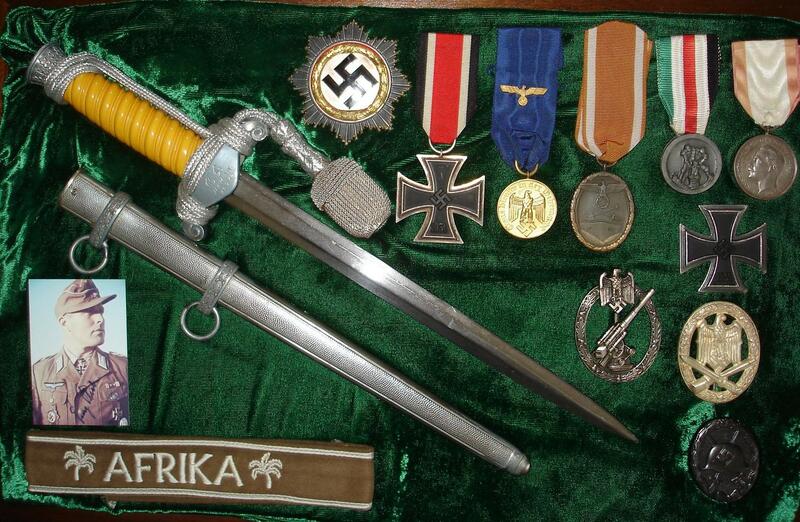 Walther's dagger plus awards he had received. 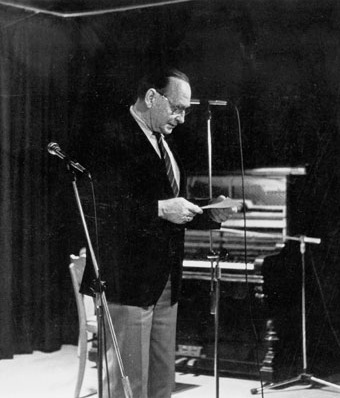 Ernst Eisenberg at a 2-4 September 1983 opening ceremonies of 123People.de, a German search engine. 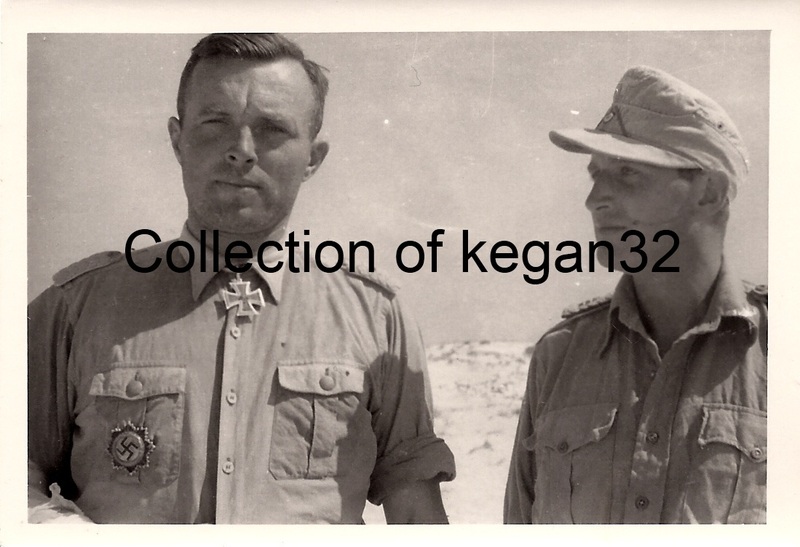 Briel shown with his Knights Cross Conversing with an unindentified officer in Western Desert of North Afrika about July 1942. 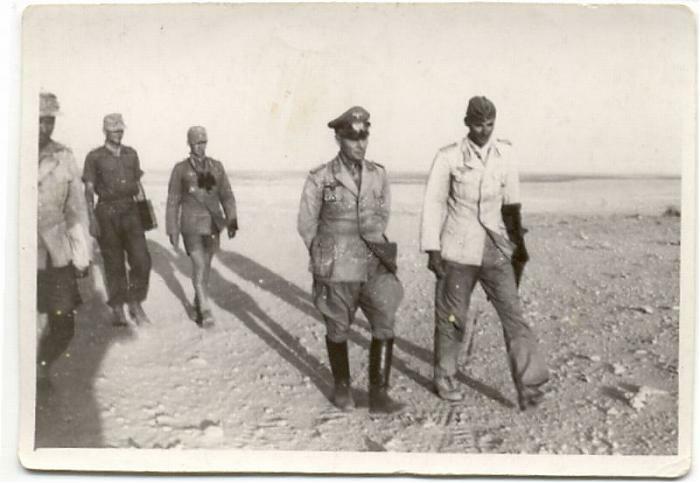 Walther (L) with unknown officer (R). Does anyone know his identity? Please let me know. 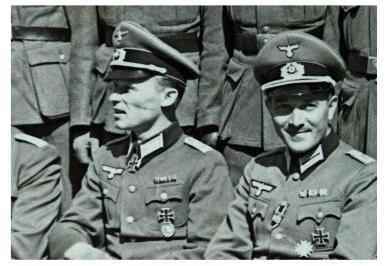 Briel (L) Friedrich Herrmann (M), and unidentified officer (R). 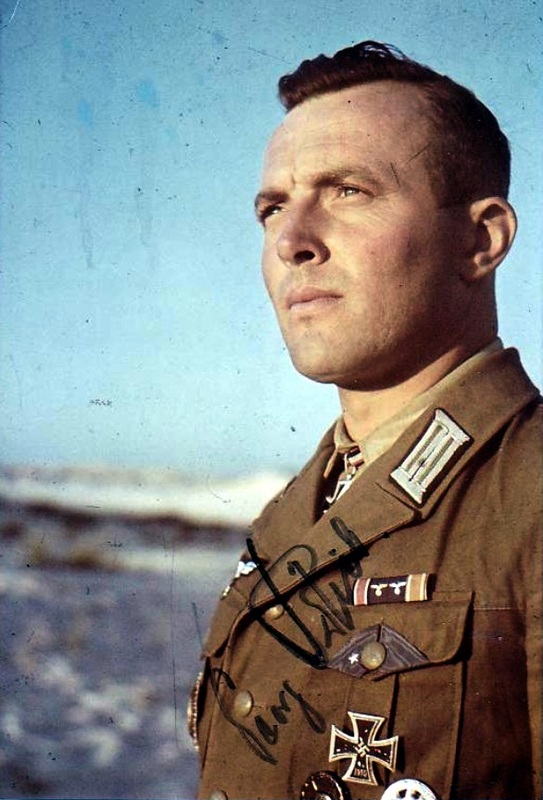 George Briel was the commander of the 606th Army Flak Battalion, a part of the Afrika Korps which Rommel liked to use as an antitank unit withe the forward troops. 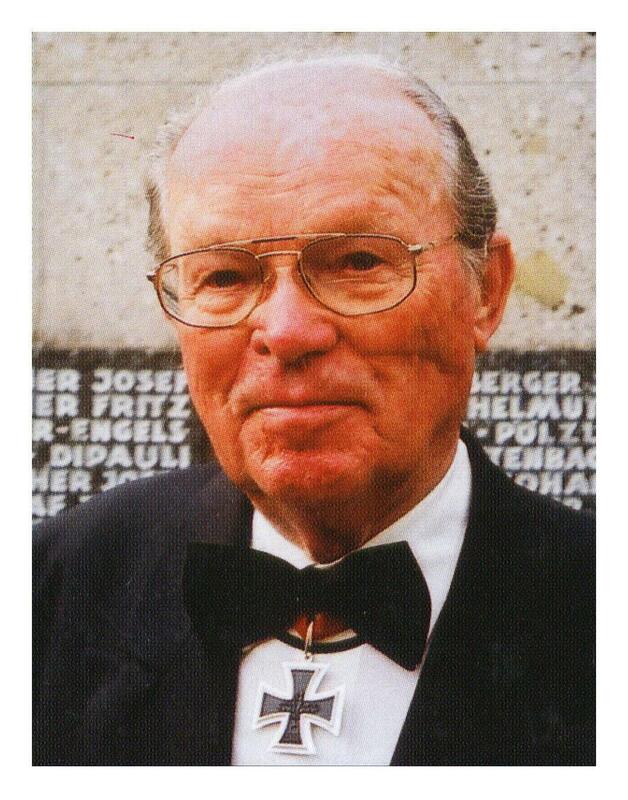 He was born in Ellers, in the Fulda District, in 1907, and joined the police in 1927. 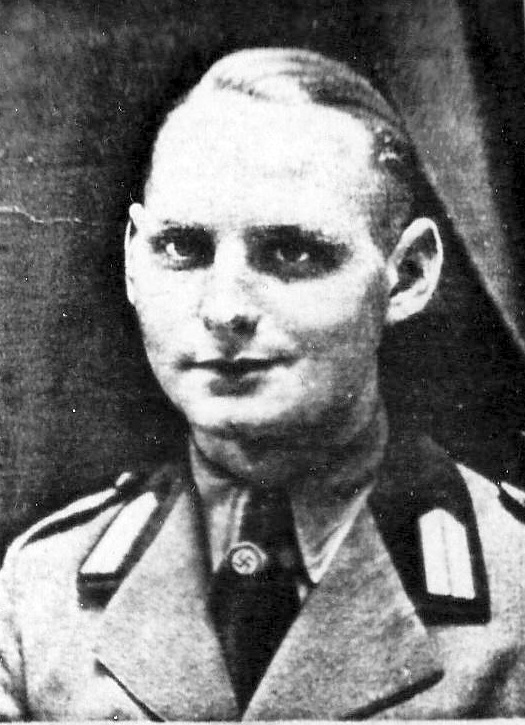 He trained at the Muenden Police Academy and transferred to the Kassel Police Department in 1929. 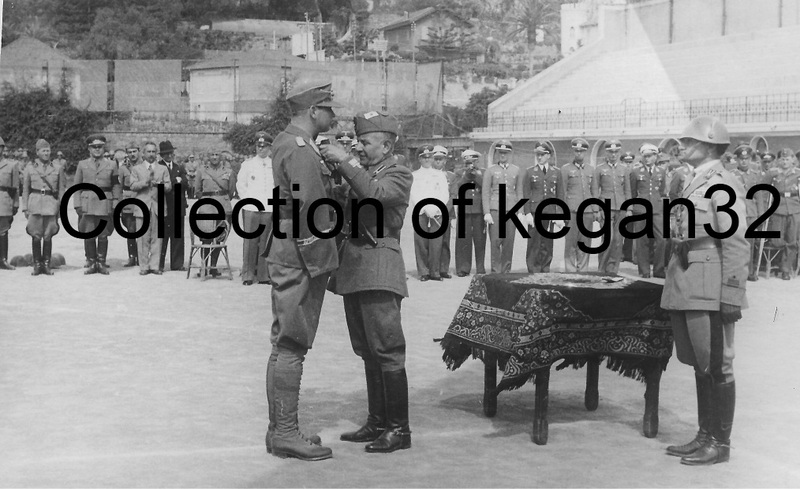 By 1934, he was a second lieutenant of police. 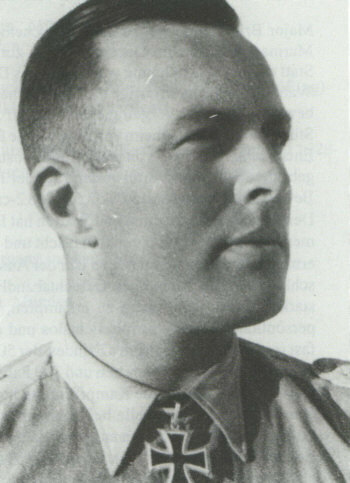 He was inducted into the army as a first lieutenant in 1935 and became adjutant of the 2d Motorized Machine Gun Battalion. 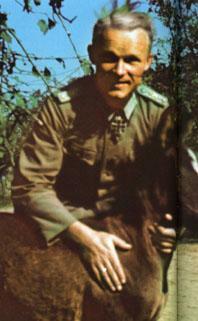 Subsequently he was a company commander in the 66th Anti-Aircraft Machine Gun Battalion. 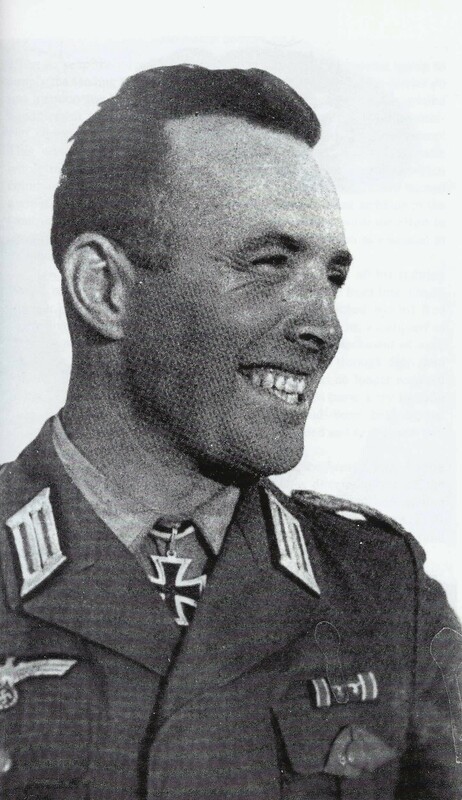 Promoted to captain in 1938, he assumed command of the 606th in 1941, and became a major in 1942. 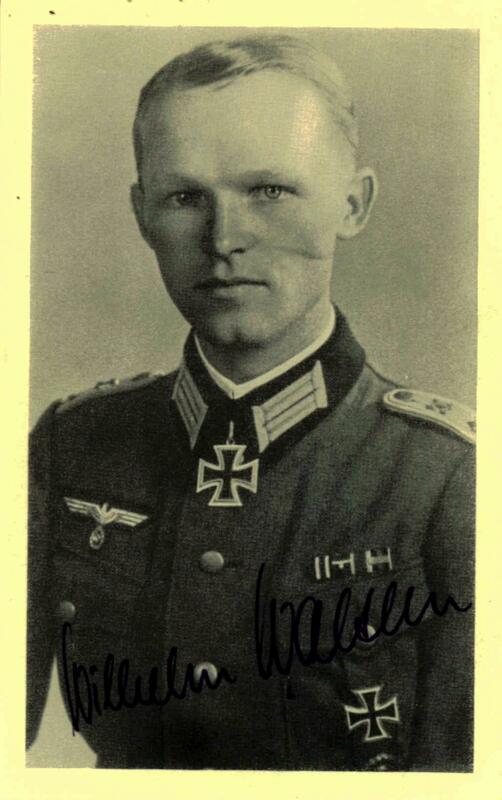 He was awarded the Knight's Cross for shooting up a French breakout attempt at Bir Hacheim. 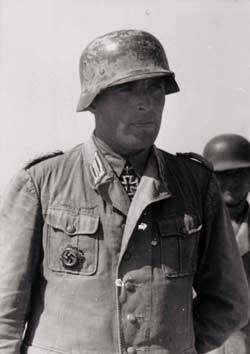 He later commanded the 200th Panzer Grenadier (formerly Rifle) Regiment in Tunisia but fell seriously ill and returned to Europe. 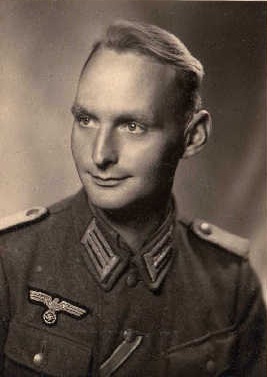 A lieutenant colonel in 1945, he commanded a grenadier regiment in the 79th Volksgrenadier Division on the Western Front until he was wounded again in the last weeks of the war. 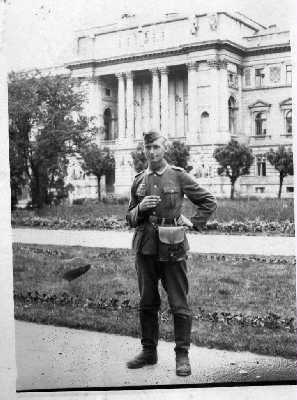 He was in a hospital in Erlangen when Germany surrendered. 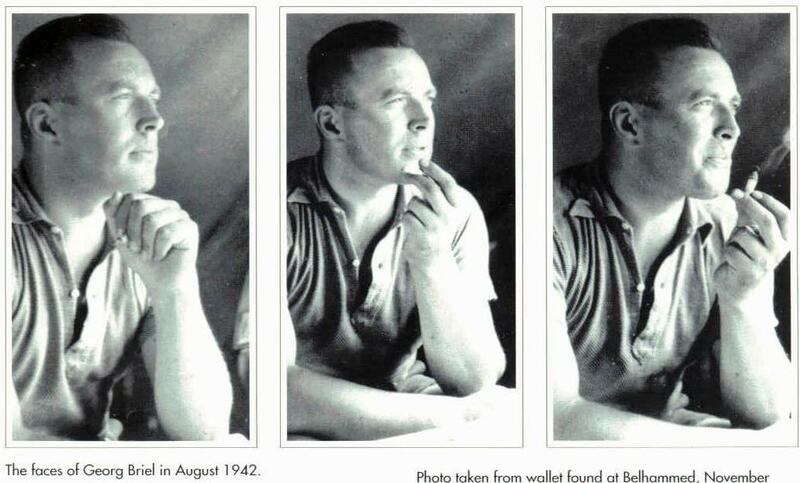 In this series of three pictures, August 1942, we see a relaxed Georg Briel. 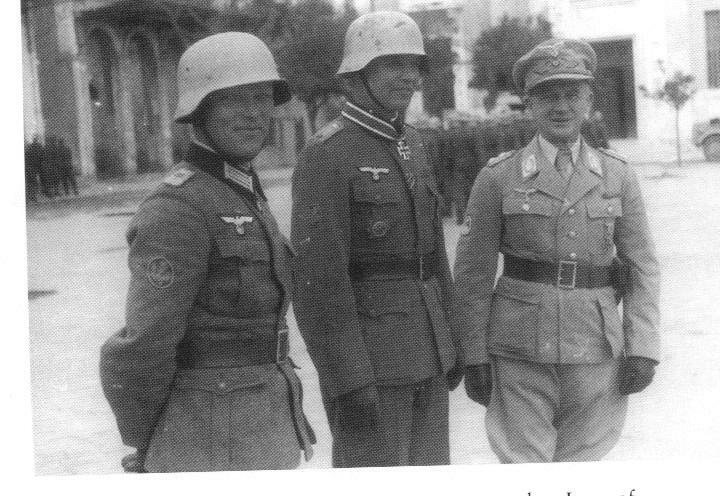 Briel, center, as Commander of the Infantry School in Greifswald, 1944. 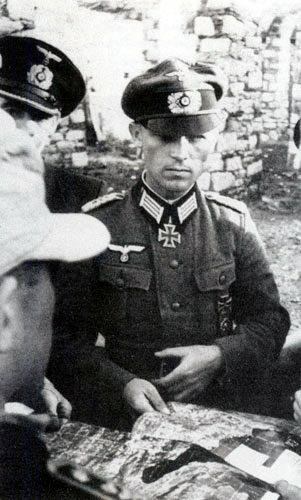 The Brandenburg German special forces saw extensive action in Fall Gelb (German invasion of France and the Lower Countries), clearing the way for the Fallschirmjäger before the Battle of Fort Eben-Emael. 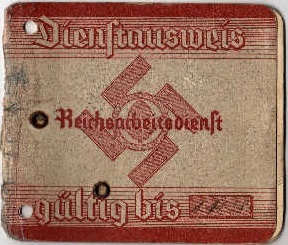 On 8 May 1940, two nights before the opening of the offensive, the Brandenburgers went into action. 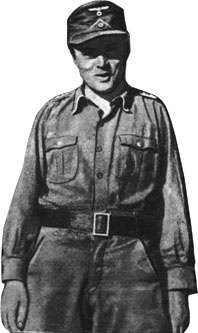 Donning the enemies’ uniforms over their own German ones (so they could quickly change in case of capture and be treated as POWs rather than spies and facing execution), small groups began to cross the border into the Netherlands, Belgium and Luxembourg. One of the few actions that was successful in the opening days of the campaign was the seizure of the Meuse bridge in the Dutch town of Gennep. 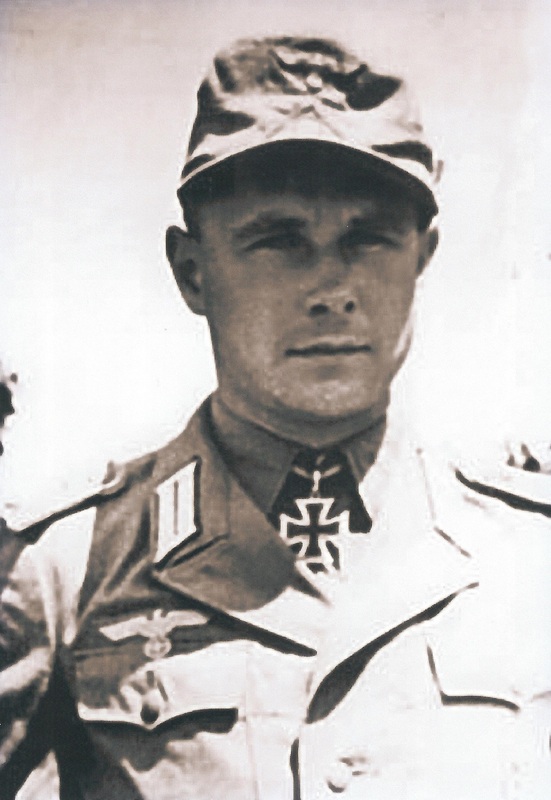 An eight-man team, led by Oberleutnant Wilhelm Walther, was given the task of capturing the bridge intact. 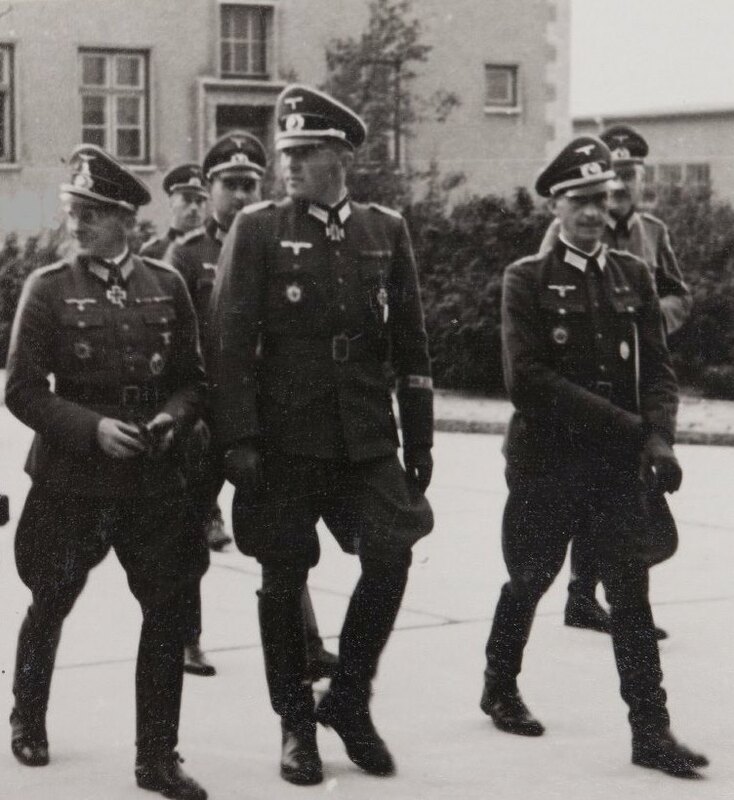 At 02:00 am on 10 May 1940, Walther’s team, now disguised as Dutch military police escorting German prisoners, made their assault. 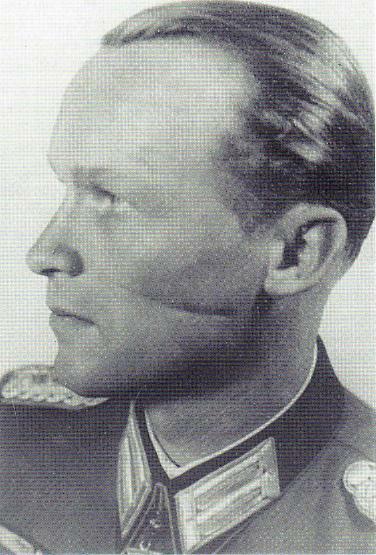 Two guard posts were destroyed, but three Brandenburgers were wounded and the team was pinned down. 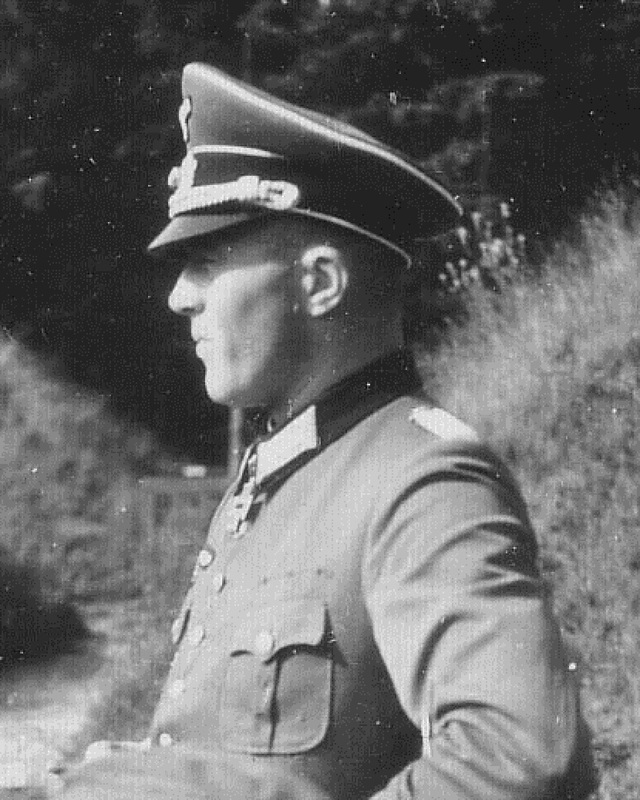 Dressed in a Dutch uniform, Walther advanced across the bridge. The confused defenders hesitated, allowing the rest of the team to take them out, seizing the bridge and disabling the detonators. 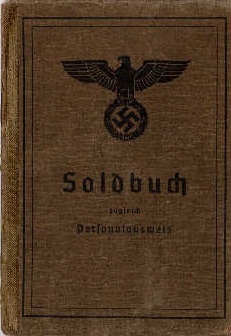 Many more operations like this took place over the course of the campaign. 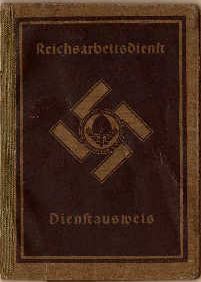 However very few were successful and on another bridge, Brandenburgers were arrested by Dutch troops and shot as spies. 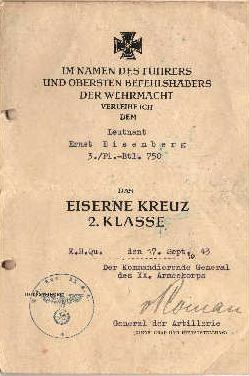 For his action at Gennep, Walther received the Ritterkreuz des Eisernen Kreuzes (Knight's Cross of the Iron Cross) in 4 Juni 1940 as an Oberleutnant and Stoßtruppführer 4.Kompanie / Bau-Lehr-Bataillon z.b.V. 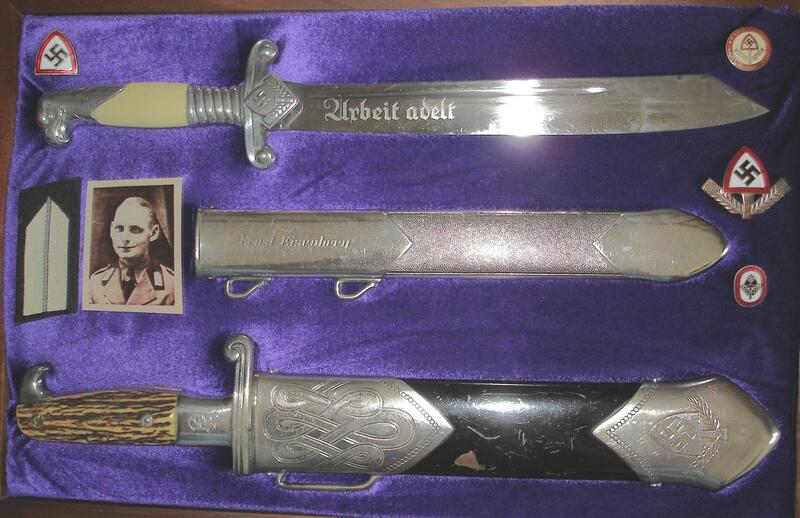 800 "Brandenburg" / Heeresgruppe B. 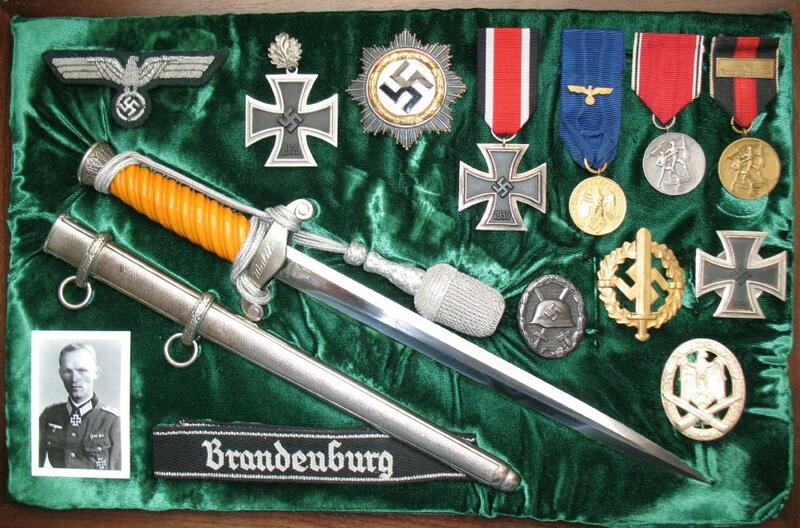 He was the first Brandenburgers to receive the coveted medal!